UFO SIGHTINGS DAILY: Woman Watches UFO On Live Elk Cam At Yellowstone Park, April 2016, Video, UFO Sighting News. Woman Watches UFO On Live Elk Cam At Yellowstone Park, April 2016, Video, UFO Sighting News. This is cool. Kat Martin2016 of Youtube caught a glowing object was seen passing infant of an Elk cam at Yellowstone. 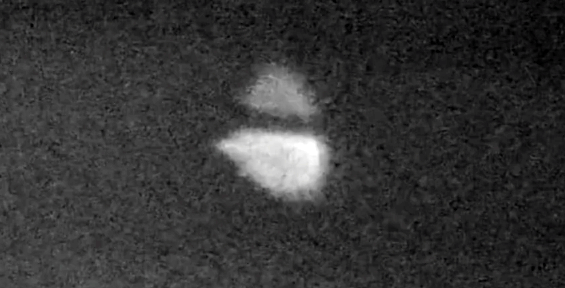 Glowing UFOs have been caught on many wildlife animal cameras, so this is nothing new. The shadows on side of this object make me think its a three dimensional object and not a reflection. Alien drones often record data of thing creatures in nature. This catch may be one of those drones. Alien Caught In Wildlife Forest Cam In Pennsylvania On Nov 2012, UFO Sighting News. Forest Cam has UFO Sighting on Sept 18, 2010 see amazing photos.